I set up a few “favorite things” posts to publish automatically (HEY, I don’t want you to forget me while I’m gone)!! First of all, for ladies (and I guess a few gents out there, yoikes) who are staring at a tube of favorite mascara that is trying to go dry – here is THE BEST advice I ever discovered. If you’re having a bit of trouble getting enough on your eyelashes and you know there still has to be some in the tube, I have two words for you – eye drops. Yes, 2-3 drops of a good-quality eye drop (I use Systane) into the tube will revive what’s left so that you can use it until you get another tube. Do not pump up and down vigorously to mix as that will pump air into the tube and cause it to dry out even more. See if you can’t roll the brush around inside, moving gently up and down without pulling the wand out too far. Eye drops have revived several tubes of mascara for me and I’ve never had one problem. Celia recovered from a horrific hit & run accident that happened several years ago. From that point almost 10 years ago until this day, she fought to get her high-heeled life back. She defied odds and people’s opinion to take control of her life to live it in the best and most beautiful way possible. Realizing she should have died, she grabs life with both hands, living it fully. She ends every post with the saying, “You are the curator of your life so live it luxuriously” and is directly responsible for inspiring me to live my best life possible. She taught me to set aside anything that doesn’t bring me joy, to Zen my house, to appreciate the beauty in life, to live in peace. Life is short; take good care of you. Then you are able to help others. She introduced her blog audience to Nina’s (Paris) Original Thé de Marie Antoinette. 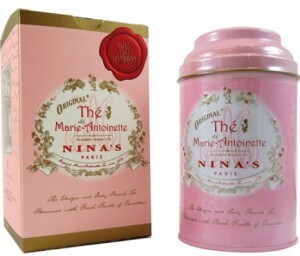 Marie Antoinette tea is a mixture of “rose petals, apples, rose. 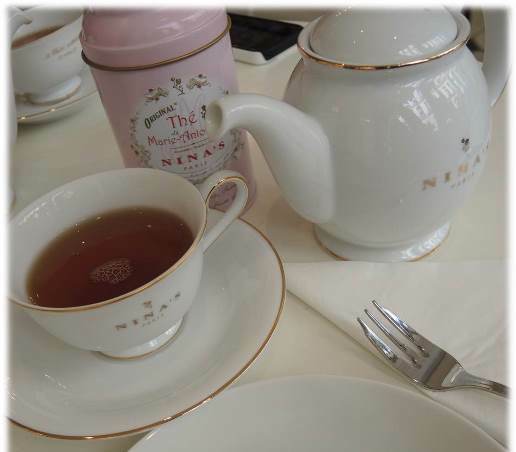 A very delicate tea, flavored with apples & rose, with a touch of strongness with Ceylon tea. Apple aroma done with apples (coming) from King’s Kitchen Garden – Versailles” (from Nina’s website). I am now hooked on rose tea. I purchase Marie Antoinette on Amazon. 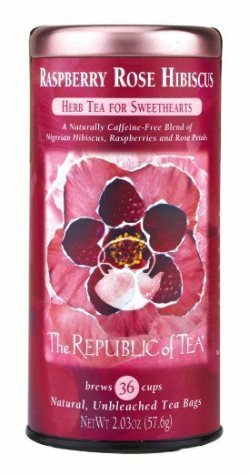 Marie Antoinette does have caffeine so if you are looking for something just as delicious without caffeine, try The Republic of Tea’s Raspberry Rose Hibiscus. Talk about delicious – Alpha Hubby even likes it. 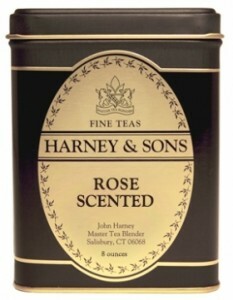 Another delicious rose tea is from Harney and Sons. They have several types of rose tea. There is just something decadent about rose teas. 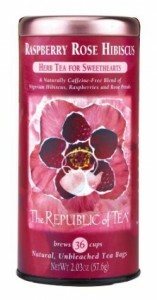 The flavor and scent are lush and quite different from an ordinary cup of tea! My latest lip conditioner is one I discovered quite by accident. Aerin is the granddaughter of Estee Lauder. She began her own beauty product line and I found out because I purchase a few samples of her Aerin perfume, Evening Rose (are you beginning to sense a pattern here?). I found inexpensively priced samples on Ebay. I like it! It makes my lips feel smoother than most glosses. And one last rosy edition to this favorites post – Demeter Bulgarian Rose Massage Oil. Oh! The scent is like a fresh cut rose. It is great for very dry skin, can be used as a perfume, and is excellent for massage. Of course they have chocolate, hazelnut, and other scents. Rose is wonderful but for a romantic evening… a chocolate massage anyone? Ebay and Amazon. 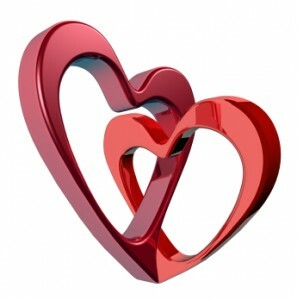 HAPPY VALENTINE’S DAY – love on yourself, your significant other, your family! 8 comments on "Favorite Things 6 Rosy Edition"
Everything is coming up roses!! Love all of these wonderful tips and admire Cecilia so much! Cecilia is an amazing woman and so inspiring. Hmm, like someone else I know – you! No puedo votar. El kabÃ­lmetro (que yo llamarÃ­a kabilÃ³metro) no acepta la opciÃ³n de votar sÃ³lo al Congreso, como ya dije que pretendo hacer, y abstenerme en el Senado. AsÃ­ que… what can I do?Decididamente, soy un excluÃ­do social. Great tip for the mascara! What will you and Alpha do? That tip saved many a mascara! We didn’t do anything since every day is V-day for us – bwahahaha. And if you believe that, I have some beach front property here in Arkansas to sell you! Oh love the mascara tip!! and what a surprise to see your words about HHL – thank you for the your wonderful words about how I have inspired you – I can’t tell you how much it means to me to make a positive difference in the life of others. And we will not forget you !! – waiting patiently for you to return to regular blogging when life allows. Heat-filled weekend – hee hee – thank you! Yep, Nina’s is amazing – so is homemade.